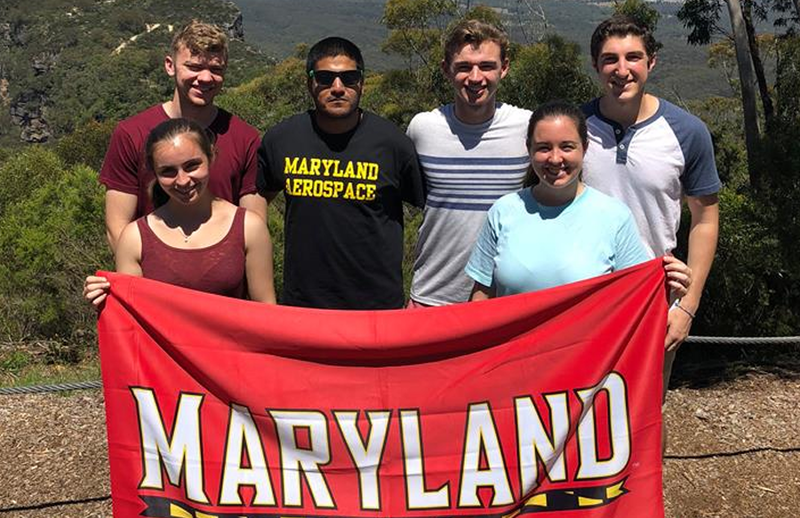 Aerospace engineering students typically study abroad in the spring of their sophomore year through several of our exchange partners or the Clark in Madrid program. Aerospace engineering students in Australia. The Clark School's Office of Global Engineering Leadership offers a range of semester-long study abroad opportunities tailored for aerospace engineering. The GEA Aerospace Engineering program is also an ideal summer option where you can fulfill 6 credits of technical electives while abroad. The GEA Summer Aviation Program provides students with an overall knowledge of aeronautics and space fundamentals, as viewed from a European point of view. The contents include scientific and technical courses, but also general conferences and visits to aeronautical and historical sites. The program is tailored for undergraduate students in Aviation/Aerospace, rising Juniors or Seniors (current Sophomores and Juniors) who have a solid background knowledge in aeronautics and/or space sciences.